Finding low income housing in Los Angeles can feel like an impossible task. Finding low income housing in Los Angeles for single mothers? Even harder. The home buying process is difficult enough even when you’re not trying to raise a family alone on top of that. Moreover, many single mothers find themselves having bad credit or low income for reasons that are completely beyond their control, like a lack of time to work or outstanding debt from legal fees. But don’t worry. Low income housing in Los Angeles for single mothers is available and affordable if you know where to look for it and how to apply for it. That’s why we at Home Loans For All have put together this comprehensive resource guide for anyone looking for low income housing in Los Angeles for single mothers. 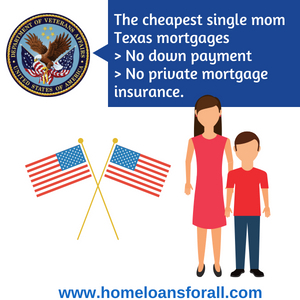 We’ll cover the most accessible home loans and where to find the best California home assistance for single moms. By the end of the article, we hope that you’ll have all the information you need to start finding great low income housing. Get Help Pre Qualifying for a Los Angeles Low Credit Home Loan – Click Here! These are what we consider the best mortgages available for anyone looking for low income housing in Los Angeles for single mothers. Most loans either have a low down payment or low credit requirements – not both. Private banks and moneylenders feel that they need to have one or the other to offset the risk of a loan, so the lower your credit score is, the more you’ll have to pay up front. The most commonly-available exception to this rule is the FHA loan program. FHA loans are, as the name implies, insured by the Federal Housing Administration, an institution backed by the power of the US Treasury. If you default on your loan because you are unable to make all of the payments, the FHA will pay back a portion of the loan to the lender. Because this institution is absorbing some of the risk of the loan for the lender, these loans come with expanded eligibility requirements and bring you the “best of both worlds” by combining low minimum credit requirements with inexpensive down payments. If you have a FICO credit score of 580 or more, you will only have to pay 3.5 percent of the loan up front. If your credit score is at least 500, the most you will have to pay is a 10 percent down payment. 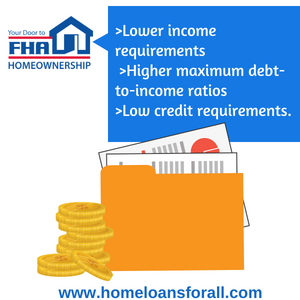 Combine that with expanded income eligibility requirements, a maximum debt-to-income ratio of 50 percent (instead of the usual 40), and lower interest rates, and you’ve got a home loan program you can’t afford to ignore! VA loans are also insured by an institution of the federal government – the Department of Veterans’ Affairs, or “VA” for short. Because of that insurance, VA loans have even more generous eligibility requirements than FHA loans. They can also save you thousands of dollars because they require no down payment at all and waive the Private Mortgage Insurance requirement on FHA and conventional loans. CalVet loans are basically the same thing, except that they’re insured by the California VA instead of the federal equivalent. The biggest practical difference between the two loans is that CalVet home loans for single moms will often have slightly lower interest rates, saving you a bit of money over time. The one downside that both of these programs share is the fact that, because of the nature of the institution insuring them, the only single mothers who will be allowed to apply for these loans will be veterans who have served for at least 181 continuous days of active duty or the widows of a veteran who was killed or went missing in action. If that describes your situation, consider applying for a VA or CalVet home loan for single mothers in California today. These FHA-insured mortgages have higher interest rates than traditional FHA loans, but allow you to cover most or all of the initial down payment with a deferred down payment assistance loan that doesn’t have to be paid off until you’ve finished paying off the entire mortgage. 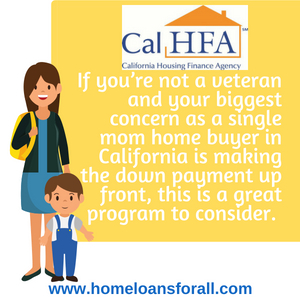 If you’re not a veteran and your biggest concern as a single mom home buyer in California is making the down payment up front, this is a great program to consider. The following are the most common home loans offered to single moms in the city of Los Angeles. Some of these loans come with high credit and income requirements and are not recommended for those looking for low income housing in Los Angeles for single mothers. However, we still wanted to go over these programs so that you understand all of the options that are available to you. Conventional loans are the most common form of home loan in the country, but because they’re designed for upper-middle-class customers they are not good choices for many home buyers. Conventional loans require minimum credit scores of 660 to 700, require you to pay 20 percent of the total value of the home up front, and usually have income limits that shut out those looking for low income housing in Los Angeles for single mothers. US Department of Agriculture Rural Development Loans are a home loan program that we frequently recommend to Los Angeles home buyers, even though it’s not exactly a California low income home loan. 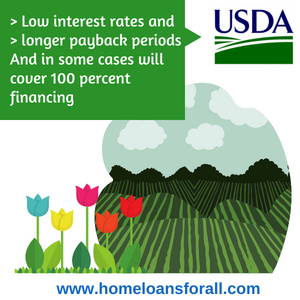 USDA loans have fairly high credit and income requirements – usually a little bit lower than the requirements for a conventional loan and significantly higher than those of an FHA or VA loan. 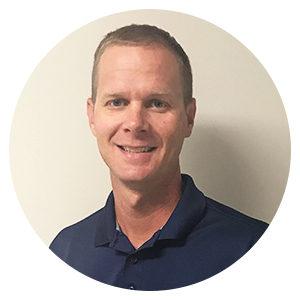 The benefit of USDA loans is that they give you the option to waive the initial down payment if you so choose and instead pay off the loan entirely in monthly installments. These installments also have lower interest rates than conventional loans, which means that if you can successfully apply for this type of loan it may save you money in the long run. The co-signer ties their credit directly to your property, allowing you to apply as though you had a higher credit score than you actually do. However, they absorb some of the risk and may be expected to make some of the payments if you default on your mortgage or fail to make a monthly payment. This is why co-signers are usually a trusted family member or friend. A rent-to-own contract in California is a standard rental contract that comes with an initial upfront payment – known as a potential options fee – that gives you the option to buy the home in full after the lease has ended. 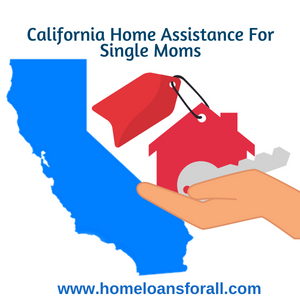 This is a good option for California single mothers who know that they want to own a home at some point but who aren’t able to afford or apply for a home loan at this time. The period of time that the lease takes up is a great chance to start saving up for the down payment and doing some credit repair so that you can get more favorable terms once you’re looking for an actual mortgage. Is the initial down payment keeping you from buying the home of your dreams? This is the case for many people looking for low income housing in Los Angeles for single mothers. Even if you can afford to make monthly payments, paying thousands of dollars all at once is beyond the abilities of many low income buyers. The California Housing Finance Agency has a few down payment assistance programs that can help a low income home buyer with that initial payment. The CalPLUS loan, which we wrote about in detail above, is one example. The MyHome Assistance Program is another, one which can be combined with any loan of your choosing to pay up to 3.5 percent of the down payment using a no-interest deferred loan that you don’t have to pay off until the mortgage has ended. Lenders in your area may offer other forms of down payment assistance – be sure to ask them about it before applying! If you have exhausted all other options for finding low income housing in Los Angeles for single mothers, it may be time to consider public housing. In the state of California, you can find housing choice vouchers (HCVs) by contacting your local Public Housing Authority or one of the six regional offices of HUD in California. The latter can be reached for assistance and advice by calling (800)955-2232, a number that is available in either English or Spanish. 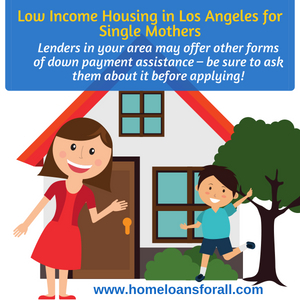 We hope that the home loans and resources listed in this article will help you find great low income housing in Los Angeles for single mothers. We know how hard it can be to find a good home in this city on a budget. If you find these resources useful and you know someone else who could benefit from them, please consider sending them this article to help us get the word out about our site.